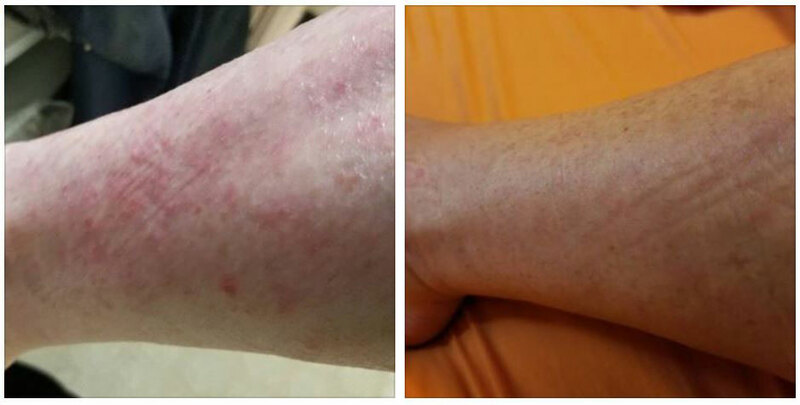 I have been struggling with psoriasis for 28 years. The older I got the worse it got and at this point it pretty much covered my scalp, arms, legs and back. Over the years I tried many treatments, ointments, lotions etc….all with various side effects. 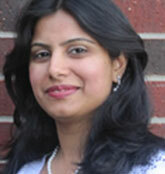 I told a friend I wanted to try and treat it through my diet and she recommended Shivani Sharma, RD. My other issue was bloating. It seemed every time I ate my stomach would bloat so much I had to put sweat pants on. So I got a LEAP MRT Test done. Many of the leap results surprised me because there were many foods that I was sensitive to that I ate on a regular basis and had no idea they were having a negative effect on me. Shivani helped me by administering the LEAP Test and then design a meal plan for me based on foods that I wasn’t sensitive to. After each Phase she would evaluate my results and if my symptoms were improving we would move to the next phase adding in new foods. I was absolutely able to follow the LEAP Diet because I was 100% committed to it! I WANTED to see results and the only way to do that was to follow the program. The challenging part was when I would have a craving for something that I couldn’t eat – like a peanut butter and Jelly sandwich. So I managed by being creative and focusing on what I could eat! That really is what the program is about – focusing on what you CAN have. I satisfied that craving by mixing a few strawberries and a tablespoon of peanut butter into my cream of rice cereal. It worked to satisfy the craving but it also gave me confidence that I COULD do this. Also I started this in the summer so picnics, camping, boating etc were all things that were a bit challenging. I overcame this by preparing ahead of time and making things that I could eat to bring with me. The key for me was to always have something I could eat with me so that my hunger didn’t get the best of me and lead to bad choices. In addition to my psoriasis clearing up I also no longer had the bloating issue, heartburn or other digestive issues. I was amazed at the transformation that the LEAP program had on my health. I look and feel so much better and that is why I have stuck to the LEAP program and will continue to. I started with a symptom score of 50 and it went down to 24 in two weeks, 14 in 4 weeks and to 2 in 8 weeks. This testimonial is from one of Shivani Sharma, Registered Dietitian and Certified LEAP Therapist. She is located in Troy, Michigan.